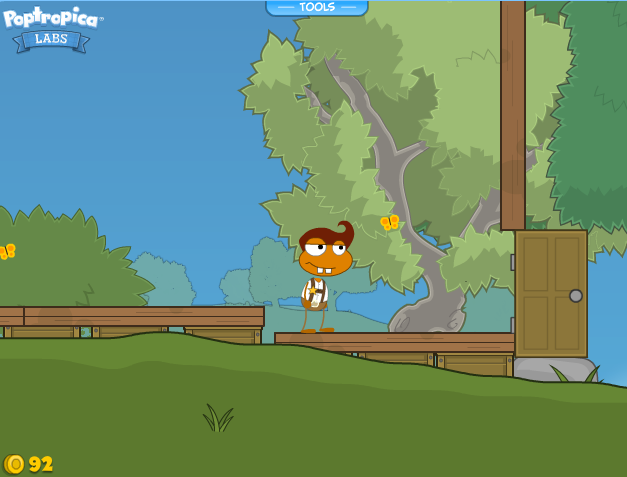 Poptropica Labs is a new feature for members that allows them to test new and unreleased to the public features. Believe me, I am super excited to see how this turns out. I’m sure most of Ohio and some of Kentucky heard my girly scream when I saw the promo screen. The newest test is called “Lands”, and is a sort of island maker with cool new features. So, let’s see what this island maker can do! Guess what? These labs are in the old format! I’m starting to conclude that Poptropica will never be fully converted into SUI. The main hub of the game will stay the same. Anyway, this was a pretty wild experience! As a beta tester, I couldn’t save my “lands” that I created, but I still had some fun with it. In a nutshell, this new feature makes Poptropica sorta like Minecraft. It is endless. When you find an island that suits you, you can start customizing and developing it. Actually, I think that the term “island” should not be used… instead, just use land. Because running around and jumping on platforms is not an island. 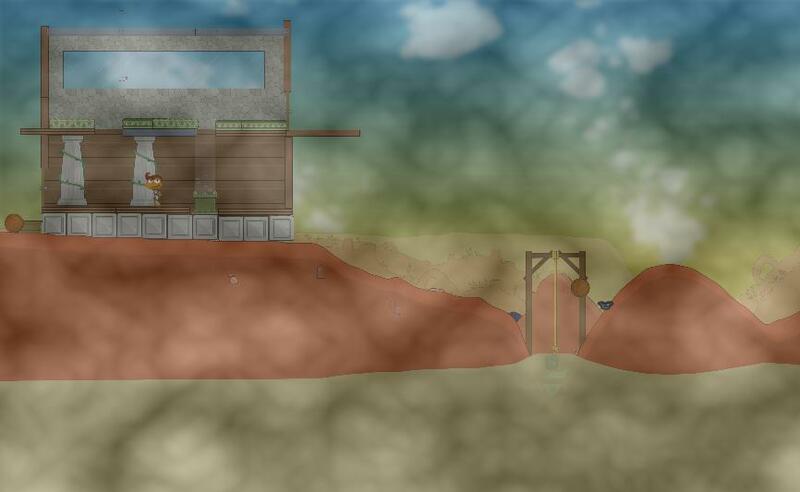 When you finally get around to making a house after trying out all the new features of rocks that move and blowing stuff up, you are going to fail. Miserably. As you can see in the picture above, the tools that you can build with are limited. You can have a rope, a mattress, an air vent, a door, adjust the water level, an egg that hatches a rock, a stupid basketball that gets stuck in places, a bomb, a ground pile, a stone pillar, a crate, a bunch of building supplies, and that’s pretty much it. Not much to play with it you ask me. Those are all great ideas! What do you think about those possibilities? SamWow5 – I wish u can do all 4 sides of the house instead of one…. Comical Turtle – So cool! I think it’s a really good idea even though it’s not perfect yet……. renaldiinfernus – Pop coins? Pop Coins? Pop Coins. REALLY?!?! That may be one of the most aweful parts of Mocktropica. DONT LISTEN TO FOCUS TESTER HES A JERK! And we’re down to 50! I wish u can do all 4 sides of the house instead of one…. I personally agree with you i just wish i could test it out sooner *sigh* i dont have wifi in my apartment. I’m on winter break. My mom said we are getting wifi in a few days… she said that days ago ill just have to wait and see. It is awesome there doing but I wish they can do it for non-member and I will be awsome if they let you have a land as common room. So cool! I think it’s a really good idea even though it’s not perfect yet……. Pop coins? Pop Coins? Pop Coins. REALLY?!?! That may be one of the most aweful parts of Mocktropica. DONT LISTEN TO FOCUS TESTER HES A JERK! I would love if they started making things like the Lab for non-members. Poptropica would probably get more players, I know I would play Poptropica more often. 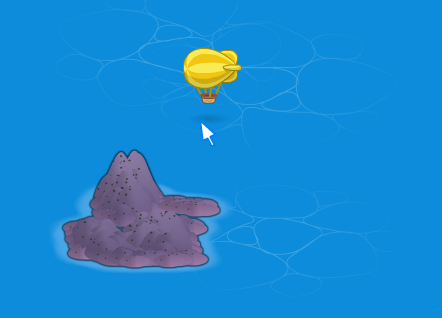 I would love to make my own island with a pet rock.